Garmin DriveAssist Review - Which Sat Nav? There’s probably not much more we can say about the design of sat navs these days. They are in effect more or less the same. They come in a thin rectangular shaped box, just like this one does. However, I do like the fact that this device feels like a quality product in the hand. The Garmin DriveAssist is only available with a 5inch (12.7cm) screen. The screen resolution is a little disappointing as you only get a rather standard 480 x 272 pixels. To put this into context it’s the same as the budget offering sat nav from TomTom, the TomTom Go 50. So, if the screen size and resolution are both lacking a little why on earth should we consider this device? Well, probably because this sat nav comes with lots of added features. The most obvious of which is the inbuilt dash camera. If you pick up the device and look at the back of the unit you can see in the centre a lens protruding out. And this really the unique selling point and what differentiates the Garmin DriveAssist from the other devices in the range. This is probably the future where ‘big brother’ is always watching you, or rather in this case watching where you go! The built-in dash camera continuously records the road ahead of you as you drive. 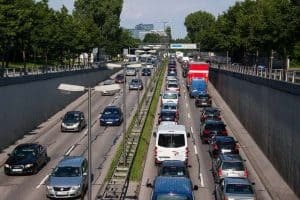 If, God forbid you find yourself in an accident, then the DriveAssist will automatically save the footage of the incident for you. 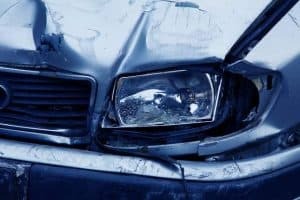 This means that in the event of an insurance claim or a future court case you’ll have the footage of the crash to rely upon. Pretty neat huh? Not only will the sat nav record the accident itself but it will also note other important details. It’ll save the exact GPS location along with the time and date of the incident. Rather cleverly you will also be able to playback the accident from the device. This could be very useful if you find yourself having to explain to the police what exactly happened at the scene. It’s also possible to change the view from the recorded footage to a map view of your exact location. All very useful stuff should you find yourself in an unfortunate situation. The footage of any crash is saved to the removable microSD card within the device itself. Another cool feature is that you can replay, review and manage the footage. 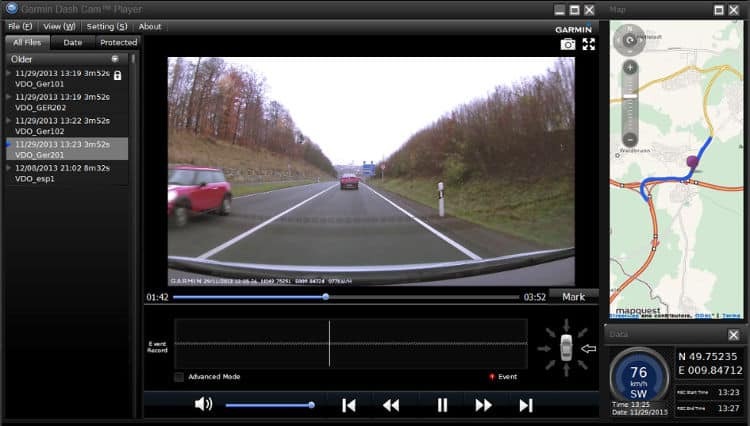 Using Garmin’s free software, the Dash Cam Player you have full control to do whatever you want with the footage. With this software you can review the footage and to save elements of the incident as photographic stills. Add to this the ability to share the files with others then it becomes a powerful means of compiling relevant information should you ever be unfortunate enough to require it. There are also some other features included because of the in-built camera. These are designed to assist you and to hopefully make your journeys somewhat safer. Let’s take a peek at these additional features. Forward Collision Warning – if you find yourself driving too close to the vehicle in front of you, then the Garmin will alert you. I found that this feature worked really well 95% of the time and was particularly useful when I found myself in traffic that stopped and started (you know those really annoying journeys where your foot is on and off the brake all of the time) – it seemed to almost provide another set of eyes on the road and was rather reassuring. The only time that it didn’t work too well was when I accelerated too quickly from a standing still towards the car in front. There was then a slight delay from arriving at the rear of the car in front to hearing the alert. I don’t believe however, that this is too much of an issue as it would be a reckless way to drive. And definitely not something that anybody should be doing anyhow! Lane Departure Warning – if you find yourself drifting to the side when your driving then the sat nav will warn you. This is a neat little feature and also probably means that the driver is getting tired. The sensible option would be to pull over and to have a break at the nearest stop off. The “GO” Alert – if your anything like me when your driving, or rather when your stopped at the traffic lights your a bit of a nosey parker! I have a tendency to look out of the window and take in the surroundings when I’m stopped at the lights. Sometimes only a ‘beep’ of the horn from the car behind is what snaps me out of my own world! In this instance the Garmin gives an alert that the cars that were stopped in front of you have begun to move. Like the previous model we recently reviewed, the Garmin DriveSmart you get Hands Free Navigation here too. It works by you dictating your destination to the device, the sat nav calculates the route whilst you get to keep your hands on the wheel. Interestingly enough I didn’t have the previous issue of having to repeat and clarify myself. Perhaps this was because I was super conscious of making sure the device understood my instructions. In fact, I was probably putting on my ‘telephone voice’ – you know the one where you have perfect diction and everyone is able to understand you? Otherwise known as the ‘Posh Telephone Voice’! As you come closer to your destination the Garmin will switch to the camera view. An arrow will highlight the actual building that you are looking for. This was a really useful feature when searching for an apartment block in a heavily densely populated part of the city. Traffic Avoidance To The Rescue! With this feature you’ll receive notifications if there’s a traffic jam or an issue on the road ahead. It’ll tell you how much of a delay to expect if you stay on your course. This is useful as it provides you with an opportunity to re-route your trip to avoid the delay. The best thing about this feature is that it’ll cost you nothing once you have the device AND thankfully there’s no adverts bundled with it! As you drive you’ll also receive notifications if there’s another quicker or shorter route available to you. I found this quite cool driving around the city as there are often changes to the layouts, roadworks etc scattered all around. Like the other devices in this range your able to avail of the Driver Alerts. If you download the Smartphone Link App onto your phone you can connect it to the Garmin. You’ll receive various notifications such as an incoming call or a text message will appear to the right of the screen. You won’t be able to reply using your voice to the text message but at least you’ll be able to read them. Interestingly you can also receive updated weather condition reports via the Smart App. Useful to see if your going to be headed to the beach for a swim! There are lots of features packed into this device. Many of them are really useful and could be very beneficial in making your journeys safer. It could be argued that there’s just too many features for some people and your never going to use them all. 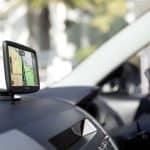 After all the primary function of a sat nav is to get you from A to B. Thankfully, Garmin have provided a certain amount of customisation and you can turn on and turn off the features that you require. Clearly, the main selling point of this device is the built-in dash camera. No other device in this range has the camera. It is in my view a fantastic addition, particularly given the type of society we live in today with everyone suing everybody else. It provides peace of mind to the driver if ever they find themselves unfortunate enough to be in a collision. It’s great not to need a separate dash cam to record the road in front of you – it helps keep the clutter and wires within the cabin to a minimum. The only downsides to this device are the relatively low resolution screen and shorter than average battery length. The battery life however becomes less and less of an issue as it’s always connected in to the power in the car. A fantastic GPS loaded with lots of customisable features. The in-built dashboard camera is what really sets this unit apart from the competition. The device is only let down by the screen resolution which is a little disappointing. The overall package however more than makes up for this! Land Rover Sat Nav DVD - are they having a laugh? 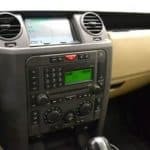 I have a Garmin sat nav and I am looking for a change as mine keeps turning off all the time – pretty annoying as it always loses power at the most awkward times. Problem with this one is the connector that goes into the cigarette lighter socket is damaged so I will have to replace. I like the sound of this Garmin Drive assist, especially the built-in dash cam. This can provide the evidence everyone needs in the unlikely case of an accident or someone’s stupid driving in front of you. The advantage of this is you have proof when your insurance company don’t believe you. Great addition to a sat-nav. I know you gave this a high marked review, Do you think this is about the best on the market at the moment? This is an excellent idea but poorly executed. Sub Par screen resolution. My 10 year old Tom Tom has better resolution than this 2016 Garmin Model. I didn’t expect 1080p but 272 isn’t even VGA quality. I think people would be a little more for a decent display screen. Also no sound recording on the Dash Cam. That may not be important to some but it is to others and the most annoying thing about this unit is the poorly designed Mount. Garmin has a great magnetic mount so why use this crap of a mount on this supposedly advanced unit? Again, a great idea but poorly designed. Their previous Model Garmin NuviCam LMTHD wasn’t perfect but it’s way better than this new and unimproved model. Pity the Garmin dash cam player software is so flaky – certainly it is on the 2 Windows 10 machines on which I installed it. Not much use having video evidence in the camera if one cannot export it to a PC for topping-and-tailing it to email the relevant bit to one’s insurer. I have just purchased a Garmin drive assist after previously having s Garmin nuvi 3790.
hi Dylan, i totally agree with everything you say in your review ,but the one thing this does not do ( well mine doesn’t ) is record the sound of the accident, or any road rage incident that may happen, i got mine from my local halfords who rang garman to ask how to set it so it records sound on the video only to be told that this model doesn’t have that built in, for an expensive item what are your views on this.